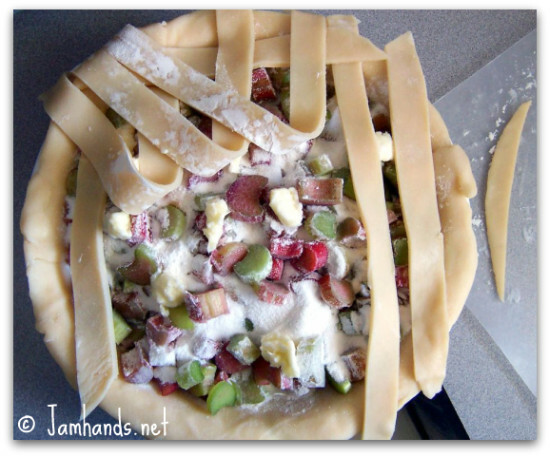 Rhubarb pie has got to be one of my favorite desserts in the world. Tart and sweet, with a scoop of ice cream it is completely delicious. 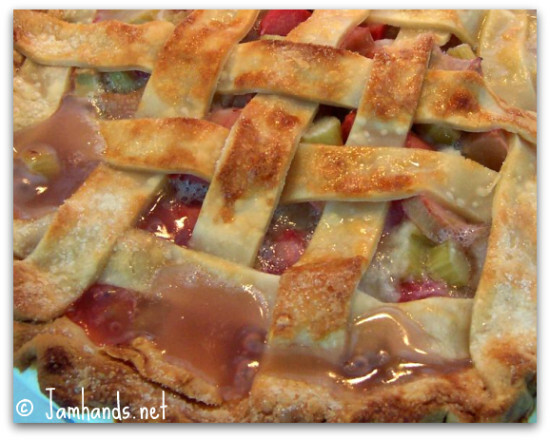 My mom's recipe for Rhubarb Pie couldn't be easier. Enjoy. 1. Preheat oven to 450f. Place first dough in baking dish and form to your liking. Combine flour and sugar in a separate bowl. Add 1/4 of mix to the bottom of your pie crust. Add chopped rhubarb then add the rest of your flour/sugar mixture. Break up butter into small pieces and dot on top of rhubarb. Bake for 15 minutes on lowest rack. Reduce temperature to 350f and bake for 40-45 minutes. Drape pie loosely with tin foil once crust has browned to your liking to avoid burning. Serve warm with vanilla ice cream or at room temperature. Now go eat! I can't wait for rhubarb season again! YAY! i've never had rhubard - i need to try it!